Bernard Dafflon, professor of public economics and public finance management at the Université de Fribourg (Switzerland) and Associate Fellow at CIRANO, Bernard Dafflon is co-author, with Guy Gilbert (École normale supérieure Paris-Saclay), of the book L'économie politique et institutionnelle de la décentralisation en Tunisie - état des lieux, bilan et enjeux. This book proposes an unprecedented analysis of the institutional framework and the public finances of decentralization as they existed before and until the adoption of the Constitution of January 27, 2014. It draws up the inventory of fixtures at the end of the 2017, the issues and challenges ahead. 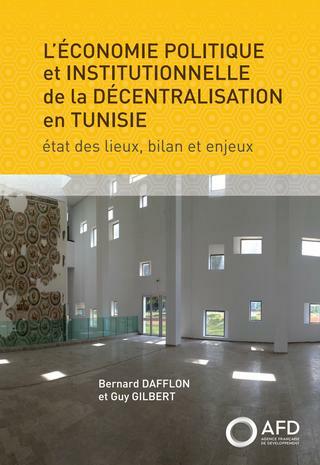 For the first time, the fundamental themes of the Tunisian decentralization - as diverse as the institutional division of the territory, the distribution of competences between the different levels of collectivities, the distribution of the taxes, the financial transfers of the State and the budgetary policies - are not analyzed separately but in a transversal and coherent way, in all their complexity and interrelationships.